I haven’t even had the blog for a month and I am drawing a blank. Why do you ask? Well, it’s not that I do not know what to write about its about time slipping out of my hands so fast that I just realized today is Thursday. I haven’t posted anything in few days. I know that I shouldn’t be beating myself up over this but after all I love blogging and sharing what I find with you. The main problem these past few weeks is that it has been the cold, both my daughter and I are suffering from it. It has been on and off like this for the past few months. It is exhausting after a while. No matter what we do the cold comes back. 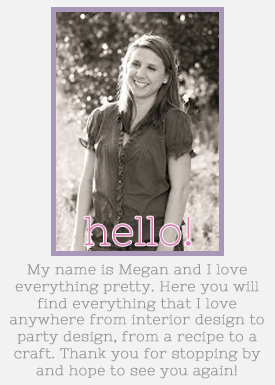 Another reason why the blog has been somewhat deserted is because of the start up of my design business. I am currently writing a post about it and should be up by the end of the weekend. I need your honest opinion. To make it a little easier and more organized I am thinking of making certain days a theme day, for example Mondays are currently color days. I am thinking of making Thursdays a travel day and Friday a party theme day. I was also thinking of maybe adding “quote of the week”. Of course with time hopefully everything will be able to fall in place. Everything is work in progress and no one was ever born knowing it all. What do you think? Any suggestions, comments? Would you like to see anything special on the blog? I would love to hear from you. I think it's fun to do certain days as theme days. I do one on Fridays. Besides having a fun collection of something you like, it also makes it easier to know what you are going to post! It's also fun to have people guest post for that day!! Great ideas!